Rowan has experience in a wide range of employment law issues including unfair dismissal, breach of contract, discrimination, victimisation, redundancy, TUPE and restrictive covenants. She has a particular interest in discrimination and whistleblowing, and has acted in cases for and against both multi-national private and public companies including organisations such as the NHS and Ministry of Justice. Rowan is currently acting in a complex age discrimination claim that was issued 18 months out of time. Rowan successfully drafted the application to issue out of time, and had the case reinstated where the Claimant had been the victim of solicitors’ negligence. Rowan’s recent case turned on whether privilege had been waived within documentation labelled “without prejudice”, which was determinative of whether there had been a dismissal at all. Rowan appears in the legal 500 and is quoted as being tough yet sensible and providing excellent client care when handling complicated employment and discrimination matters. Solicitors consistently praise Rowan for her client care, and ability to understand complex disabilities, particularly mental health conditions. Rowan has a diverse property practice that incorporates proprietary estoppel, negligence and misrepresentation issues, easements and covenants, as well and landlord and tenant litigation. Recently she appeared on behalf of multiple claimants in a 6 day case of fraudulent misrepresentation on a property information form (TA6). The seller failed to declare disputes with neighbours and rescission of the contract is being considered in circumstances where the property was purchased as a bed and breakfast business. Rowan provides early advice and mediation as well as representing parties at Court and the Tribunal involving boundary disputes, most commonly involving Section 60 of the Land Registration Act 2002. Rowan recently acted for a defendant who had no adverse possession argument and no evidence from previous owners. The Judge was conflicted by the conveyance, and the topography. Wilson v Greene  1 WLR 635 applied. Rowan is very familiar with TOLATA, having dealt with established and novel arguments, including the fraudulent express declaration on a TR1, and the conflicting arguments of proprietary estoppel and constructive trust. 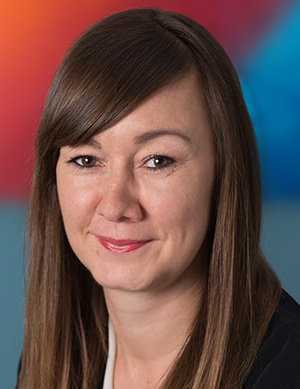 Rowan has experience of breach of trust and accounting cases, a current case at the High Court involves close family ties and a breakdown of the relationship between brother and sister co-owners of a property. Rental income and renovation works have been formed into a hugely complex accounting process. Rowan is currently acting for an agent company involved in an insurance dispute, whereby there are conflicting defences as between the broker, insurer, and the security company, whereby a theft at the claimant company’s warehouse was not insured by reason of a failure to adhere to the insurer’s security requirements. Rowan has been representing a claimant company in a construction case in the High Court for nearly two years, the Court ordering a preliminary hearing, and expert involvement at different stages. The primary issues are valuation of additions not agreed in advance, and the liquidated damages clause within the JCT contract. Rowan is currently acting for a company against whom a liquidator is seeking repayment of over £1 million. The client seeks a validation order pursuant to section 127 of the Insolvency Act 1986. It is a novel case, because the payments were made during a lacuna period when the petition against the paying company had been dismissed, and a successful appeal by the petitioning creditor. Rowan’s personal injury work predominantly relates to fraud and catastrophic injuries, involving complex quantum disputes. Rowan is currently acting for the Claimant in a case where she drafted the Particulars of Claim and schedule of loss in a catastrophic injury to a 4-week-old baby. The schedule was initially £10 million, which since the change to the discount rate from 2.5% to -0.75% has resulted in an increase to £15 million. The hearing is listed in early 2018 when Rowan will be led by a QC from 12KBW over the 5-day quantum disposal. Coming from a scientific academic background Rowan has a keen interest in medical law. She has represented numerous professionals at their respective regulatory tribunals, including the General Medical Council, the Nursing and Midwifery Council and the Health and Care Professions Council. At the end of 2011 Rowan led an appeal at the Privy Council in the case of Holmes v Royal College of Veterinary Surgeons  UKPC 48 which dealt with the issue of bias, specifically that the charges were brought in the name of, and were determined by members of, the College. In addition, the system allowed members of the disciplinary committee to have previously served on the preliminary investigation committee. Care homes and Care standards: Rowan advises and represents care homes involved with Care Quality Commission investigations and closures. Rowan also represents interested parties at inquests, specifically those involving hospital deaths with medical complexity. Rowan accepts Direct Access instructions.